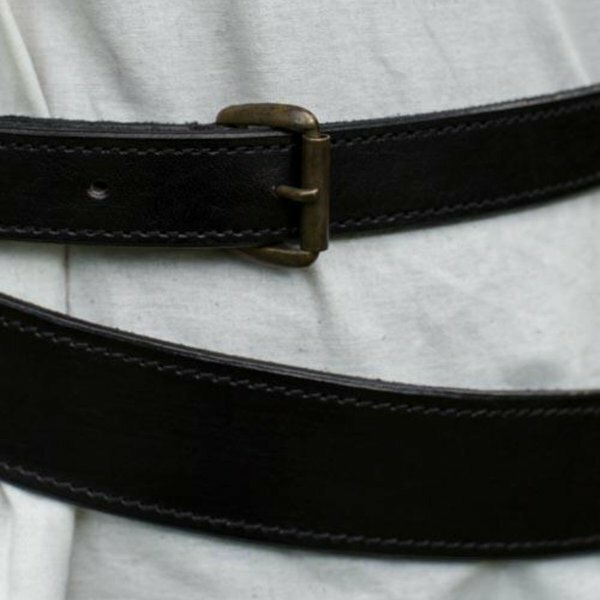 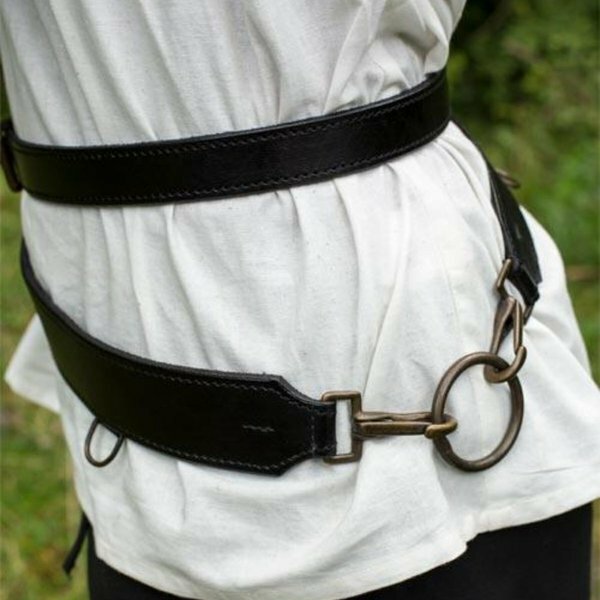 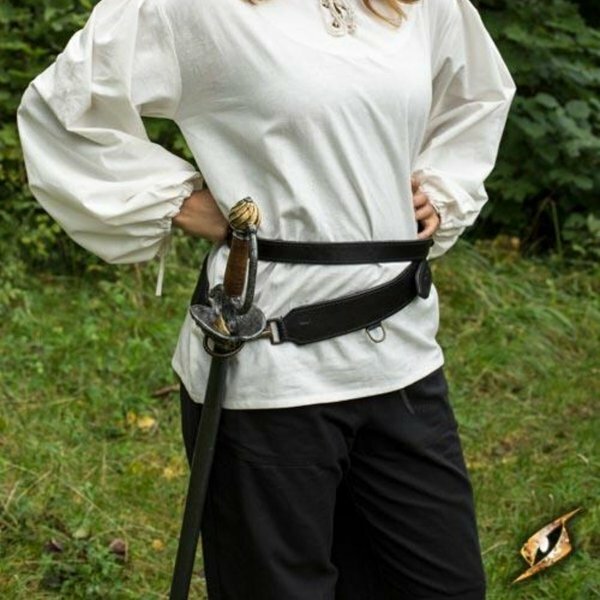 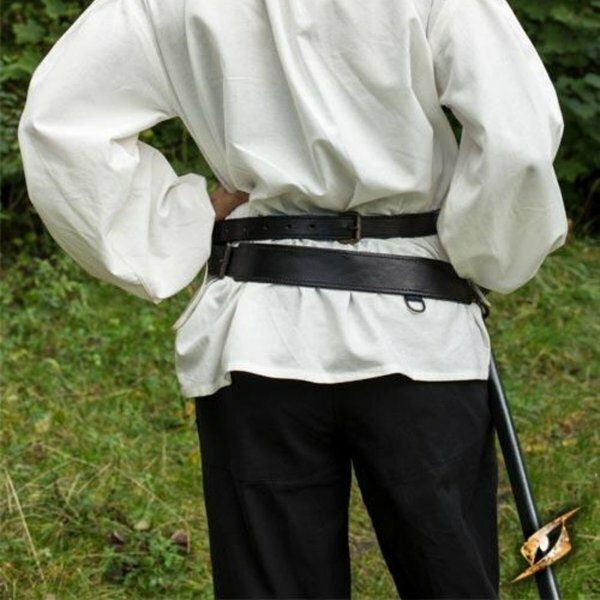 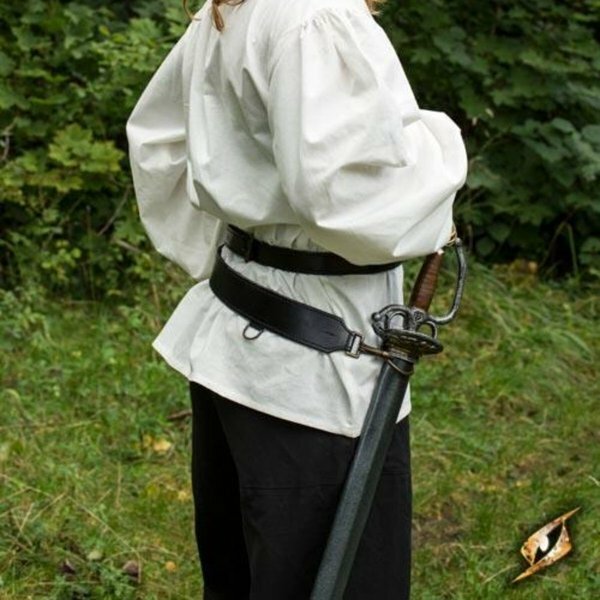 Complete your LARP or Cosplay costume with this sword belt. 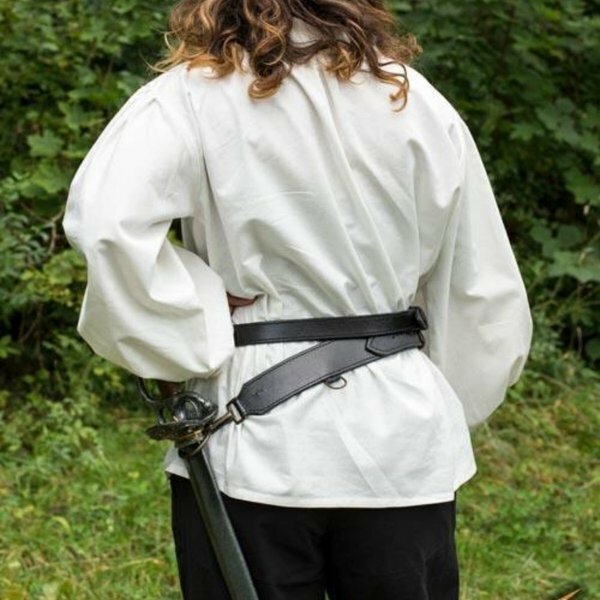 Perfect for knights, pirates, robbers, sailors and may other characters. 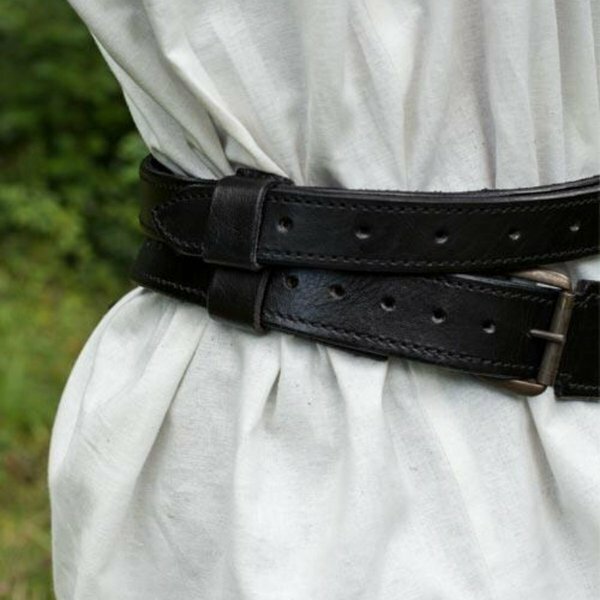 The belt consists of two parts: the upper part is narrower and worn around the waist, the lower part is wider and falls around the hips. 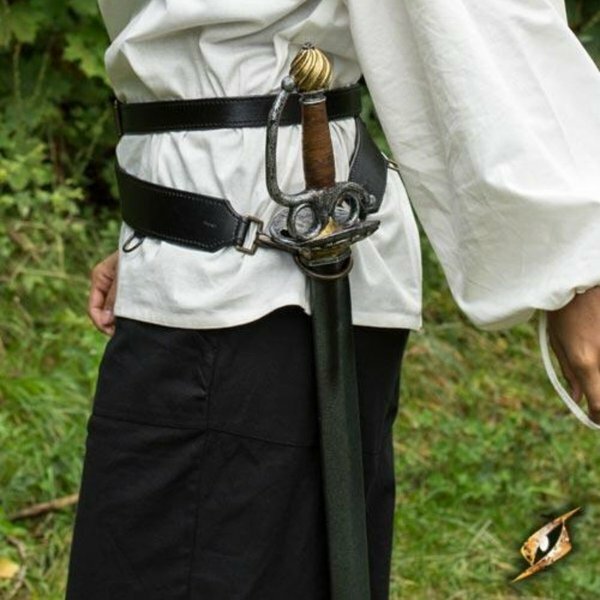 The belt has a ring to attach a scabbard. You can wear your LARP weapon comfortably around your waist.